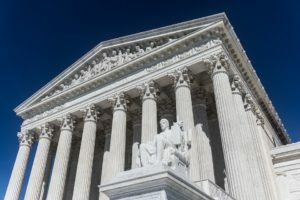 The Supreme Court’s Janus ruling has significantly increased the footwork needed to obtain your member dues. Now more than ever, there is a need to attract and retain members, and that is where our Labor Union Membership Drive Mobile App comes into play. Location Based Lists – Provides organizers with target lists based on the location of the work-sites. Member Info – The ability to find members via the alpha list and pull up all the information organizers need to do their job. New Member Capture – New membership information is captured securely and quickly. Sensitive information, such as SSN, gets immediately encrypted and updated in your database in real-time. Digital Signatures – Allows you to fulfill all the legal requirements of forms being filled out. Voluntary Deductions – Via our PCI- secure credit card and ACH options. Real-Time Follow-Up – As soon as the survey is submitted, an email is sent to the member with an encrypted copy of the form they just filled out. No More Paper (No More Data Entry) – In addition to the information going directly into your database, a completed form is emailed to a designee for your records and for further electronic distribution. Contact us for a free demo today!